When the decision is made that seniors need additional assistance to remain comfortably living at home, seniors and their loved ones alike often wonder: how will I pay for home care? With so many different types of in-home care available, understanding payment options can be confusing. Here, we offer you a short overview of the most common payment options for non-medical home care. First and foremost, it’s important to understand the difference between non-medical home care (often referred to as private duty services) and home health, which provides additional medical services. To better understand the difference, check out our blog post here. -Self Pay: Also known as “private pay,” using personal finances to pay for in-home care services is the most common method of paying for home care. Agencies will bill clients on a regular basis at an agreed upon rate which may be per hour, per visit or per 24-hour shift depending on need. Ask how agencies track hours and bill clients. With a homecare software or homecare system, such as ClearCare Online being used, you can be ensured of heightened accuracy in billing. 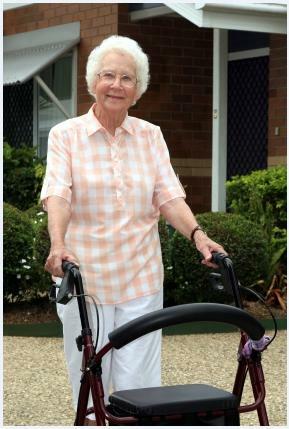 Long Term Care Insurance: Seniors with long term care insurance may find that their benefits help pay for in home care. Talk to your insurance provider about home care coverage, as well as potential home care agencies to ask if they accept payment from long term care insurance. Agencies using a homecare software or homecare system are typically equipped to best track billing sources, ensuring insurance is properly billed. Medicaid Waivers: In some instances, low-income seniors receiving Medicaid benefits may be eligible for a “waiver” that allows payment for a certain number of hours of home care services per month. While Medicaid does not cover home care services in all areas, qualifying seniors should check with their Medicaid representatives to see if benefits are available. Note that not all home care agencies use a homecare software or homecare system able to process Medicaid payments, so it’s important to check before hiring an agency. Entitlement Programs: Known as “entitlement programs,” many jurisdictions offer programs funded by government monies that offer to pay for set amounts of respite care, or in home assistance for target groups of seniors. Check with your local Area Agency on Aging for information on any programs available to you in your area. Veteran’s Affairs: Veterans and their spouses who are at least 50% disabled and over the age of 65 may qualify for home care assistance through the Department of Veteran’s Affairs. Senior veterans are encouraged to look into this benefit with a VA representative. Determining who – and how – to pay for home care can be a daunting task. However, home care agencies can often help discuss payment and program options with seniors and their families, as well as discuss the benefits of working with an agency using ClearCare Online’s homecare software and homecare system to manage and bill for care. Getting older isn’t cheap, but when it comes to paying for care, there are options to explore.